House Plans | House by the water. Our “house by the water” will be based on the “Rubix” plan by builders Webb and Brown-Neaves. We played with the standard plan for a few months, making adjustments to suit our site, taste and family size. The most obvious change we made is to the roof line. We’ve selected a “coastal elevation” which softens the look of the house. Other changes include increasing the size of the dining room window, changing sliding doors to stacking doors, changing the design of the kitchen bench to accommodate 5 stools and turning the study into a 4th bedroom. We also added a laundry chute, an external door to the powder room (for poolside access), a 900mm freestanding oven, space for a chest freezer, and provision for future gas fireplace, gas to the alfresco dining area and water for an outdoor shower. The void space above the living area. Plenty of windows to the canal view. An indulgent kitchen space, including the scullery. Plenty of space to add storage/cabinetry to rooms later. Plenty of room left on the block to enjoy the outdoors. 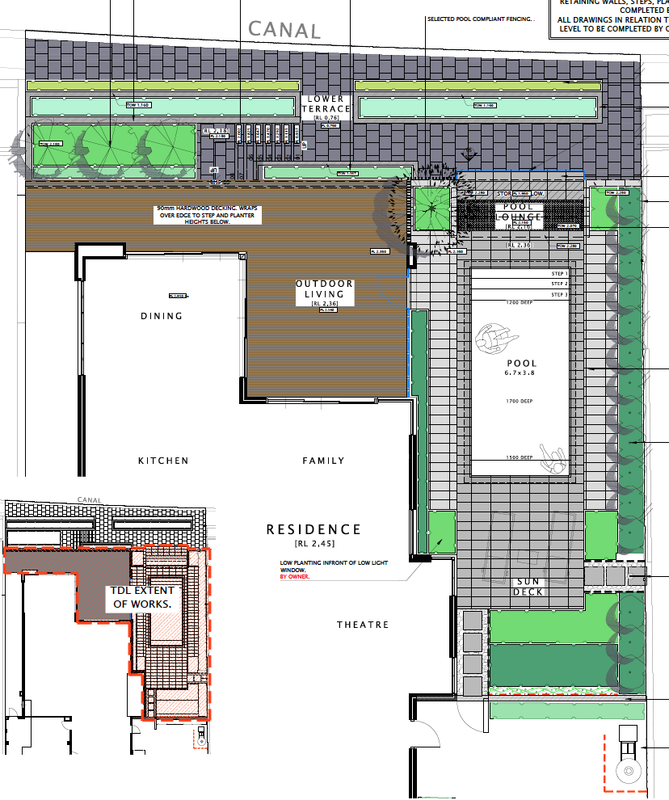 Site plan – plenty of room to entertain and play outdoors. Hay I love the changes you have made as my partner n I are building the rubi on the canals I was wondering who u built with? Our house will be built by Webb and Brown-Neaves. Good luck with your build. Pingback: Nooks. | House by the water. I love the scullery idea! I tried to incorporate it a scullery into our design, but it just wasn’t going to work with the rest of the house. Lovely sized home. Look forward to following the build! Jetty tips : run power and water to the jetty or make an allowance for it during the house build. Consider the length of boat you wish to moor and ensure the jetty design suits the access egress points for the boat. We have a fixed timber jetty that we are allowing to weather to grey – on purpose. Hi Johanne, im looking at blocks in Port Mandurah. 16 front to 18 rear. 44m 800sq. Is this a custom home? I like WBN but quite expensive. Could you advise approx budget for something of this grandure..
Add a few fancy bits (a different roofline, bricked and rendered retaining walls, stacked stone cladding at the entrance and a few minor changes inside) and we are already nearly at $800K. (Are you choking yet?) Then after handover the floors, air con and landscaping need to be done. Not to mention a jetty. Depending on your choices, you won’t have much change from $1M and could easily go over this. It’s about double the figure we had in our ignorant thoughts when we bought our block. Good luck to you too. Great Blog, I love reading it. I have found WBN to be competitive in pricing if you take into account everything that is included. I compared two other builders and I found that the other builders were leaving allot out of the quote to only have to include it later. I found WBN to be honest upfront and that allowed me to manage my budget more correctly. I also used their finance guys at Resolve. As a package a great experience. Thank you Andy! I’d love to know what you built/are building. I hope to be able to say “a great experience” at the end of our build. My biggest concern right now is being 2 months behind schedule. Thanks Candice. Our front elevation can be seen here: https://housebythewater.wordpress.com/2013/10/19/exterior-colours/ and photos of it are here: https://housebythewater.wordpress.com/2013/08/01/the-rubix-coastal-elevation/ . WBN also do a standard roof/elevation for the Rubix which is more traditional, but in my opinion it’s dull. Our sales person has left the company. I think a good sales rep is important because you want to get as much priced up as you can (all variations) before you sign anything and lose all power. You don’t want to be rushed. Good luck, take your time and feel free to ask more questions. I used a sales person at WBN by the name of Andrew McLoughlin. Easy to deal with and knows his stuff. He’s not a high pressure sales guy either. Not sure if I can post his number or email though. Call their offices and ask for him. We are going to by building the Rubix with a Master bed at the front in Iluka. Waiting for titles. I still think the Rubix is a good choice in house plan. Proof will be when we move in. 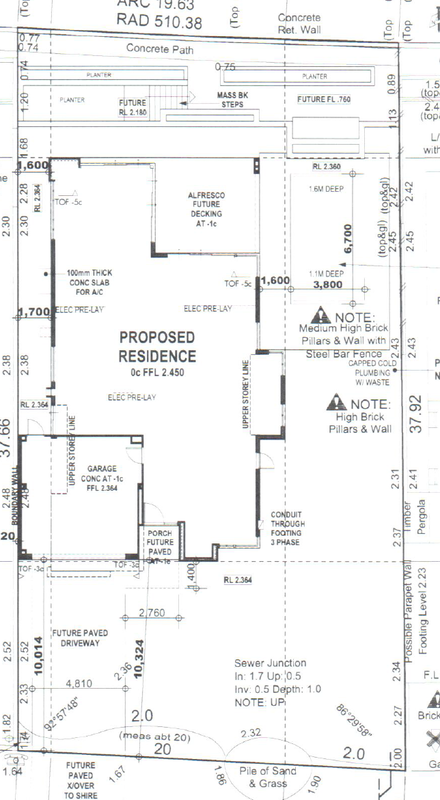 One thing I realised too late, was that the fireplace hearth seen in the display home photos did not make it onto our house plans. Now we are hearthless!! (Ha, ha. I must use that for a blog post title!) Good luck with everything and feel free to compare notes. I am in contact with quite a few other WBN customers. We discussed the fireplace with Andrew and for the amount of times we would actually use the fire, I would get better use with my surround sound set up (Boys toys). I spoke to Andrew this morning about his details and as you would expect he is happy for me to share them with whoever wants to discuss building a new home. This is Chris from South Africa, been following you blog for some time and i LOVE your Rubix building plan big time. Tell me, is the roof going to be skillion? Hi Chris. Thanks for commenting. The roof is a skillion roof. I have a new photo of it to post later today. …skillion roofs are just awesome, I noticed that they are big in Australia. I will definitely go skillion when I do my next house. Hi there, now that you have been living in the design for a while, how are you finding the void over the living area? Any concerns over lighting, acoustics or warmth/cooling? We are considering a similar sort of void over a lounge area which I think looks great, but not sure about the practical side of it. Hi Sean, I ‘m very happy with the sense of space our void provides. In terms of heating I think,in our climate,it is inconsequential. (Our expanse of windows without double glazing is another story. In terms of natural cooling we are finding it helpful as airflow is good. Regarding lighting, we could benefit from adding down lights above the living area, where now we only have a single pendant light. We are currently supplementing it at night with a floor lamp. Acoustics can be an issue when we have a large number of people in the living area. I’m not sure if it would be any better in the absence of a void space. All up, for our location/climate, I recommend a void. Thanks, good to know. I find it hard to go past the aesthetic appeal but good to hear your experience of it.